It's a new year... and that means new specials! EDM- famous for having ongoing specials has two new ones to celebrate 2010. They have new color collections that are not available for sale yet, but you can own a sneak preview NOW as a gift with purchase. Wondered where the EDM forum went? Please note: EDM's eye shadows have been reformulated and have caused controversy due to an additional ingredient they now have- Lauroyl Lysine. According to the site, it is "An amino acid derived from natural coconut fatty acid, used for it’s silk like texture, spreadability and adhesion qualities." What do you think of this? 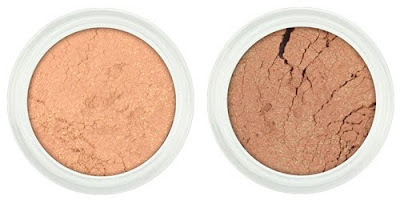 This Disco Sensation trio is available with a purchase of $38 or more. (Sample sizes for each of the colors called, Tuesday Night Fever, Feather My Hair, Disco Roller Skating) Pretty huh?